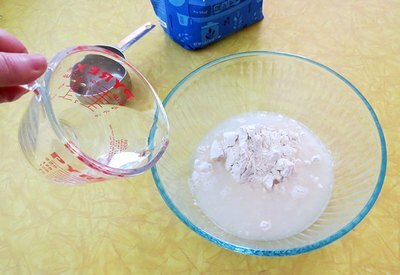 Paper Mache paste is a liquid glue made with flour and water. It can be used to cover a variety of surfaces to create sculptures, pinatas and other arts and crafts projects. Once dried, the hard outer shell is easy to paint and decorate. Paper Mache paste is made with 1 part flour to 2 parts water. If you are in a high humidity area, add 1 teaspoon of salt to prevent mold. 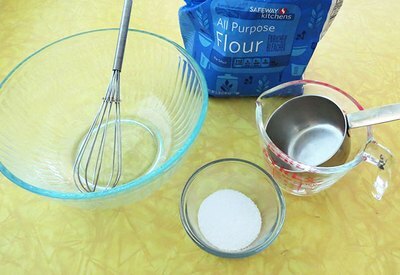 A good amount to start with is 1 cup flour and 2 cups water. You can always mix more if needed. 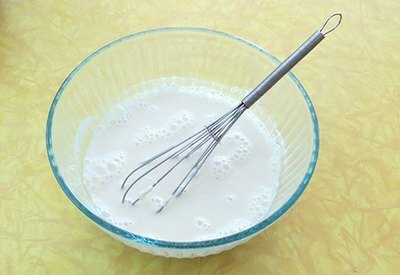 Whisk together until flour is completely mixed in. 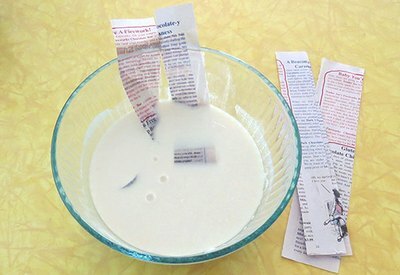 The consistency should be like a thin glue, making it easy to dip strips of paper and apply to your surface. The paste can be stored in the fridge for 2-3 days.